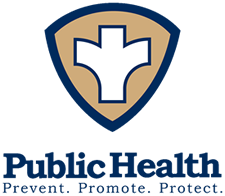 The Perry County Health Department serves as registrar for Perry County through the State of Missouri Bureau of Vital Records. The services are administered per rules and regulations established by the Bureau of Vital Records. Beginning March 1st, 2011, identification will be required when requesting vital records from the state health department and local health departments throughout Missouri. To obtain a copy of a birth or death cerficate, a person must present a document containing a photo, such as a driver's license, passport, or school, work or military identification. If an applicant does not have a photo ID, at least two alternative forms of identification must be presented. The documents must include the applicant's name and the name of the company or organization issuing the document. Requests for vital records submitted by mail must be notarized by a notary public. Certificates prior to these dates must be requested from the State of Missouri, Department of Health and Senior Services, Bureau of Vital Records. Certified copies are computer generated and valid for all legal purposes. False applications for a certified copy of a vital record is a felony punishable by a fine up to $5,000.00, five years in prison or both (RSMo 193.315). When filling out the Application for Birth Certificate, please include "Middle Name" instead of just "Middle Initial" for name on certificate.